The Gas Monkey Garage’s Top Fuel dragster is expected to be at Heartland Park Topeka Memorial Day weekend, according to driver Kebin Kinsley. When they do bring out the 10,000 horsepower to Kansas, it will be the second race that they’ve run this season. 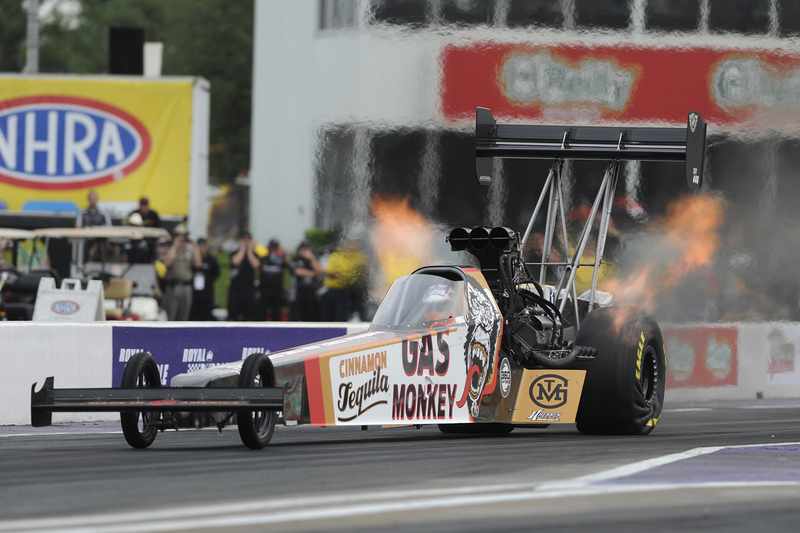 In April, they brought the dragster to Baytown, Texas to Royal Purple Raceway. Kinsley made the show, before losing in the first round to Spencer Massey. Kinsley smoked the tires and went 10.275 compared to Massey to ran a 3.770. Kinsley informed us that the Discovery Channel TV cameras were in Baytown for an upcoming show, as well. However, Discovery Channel has not confirmed to us when the show will air, but it will likely be during the next season. They are currently entered into the NHRA Kansas Nationals. At the moment, there are 18 entries for a 16 dragster field. As the team gets better, Kinsley is looking to get his first round win at this event. Following Topeka, the team hopes to return for the Mopar Mile-High NHRA Nationals in late July. However, only 11 drivers have been entered into that race so far since it’s so far out. If they’re not able to make it to that race, the plan is to return in October at the AAA Texas NHRA Fall Nationals. Depending on how well they do on the track and if they can get the additional funding, they may end the season at the NHRA Toyota Nationals October 29th.